UPDATE: An Oxford medical student stabbed her boyfriend with a bread knife. So why did she not go to prison? Lavinia Woodward, the 24-year old Oxford student who pleaded guilty to stabbing her boyfriend with a bread knife, was sentenced yesterday at Oxford Crown Court for unlawful wounding. The case caused a splash back in May when, having entered her plea, the defendant was told by the judge that she was unlikely to receive an immediate custodial sentence, in part due to her promising medical career. Thus was born the tale of the rich, blonde, white Oxford student who was “too clever” to be sent to prison. “Too clever” appears in all headlines in quotation marks, notwithstanding that no-one in court, not least the judge, ever used these words; rather this is one of the those splendid auto-generated media myths, where one tabloid shorthand was adopted by all until everyone came to accept that these words must have been said. Four months passed, and Ms Woodward returned to court yesterday to be sentenced to 10 months’ imprisonment suspended for 18 months. After a little delay, the full sentencing remarks were published this morning here. 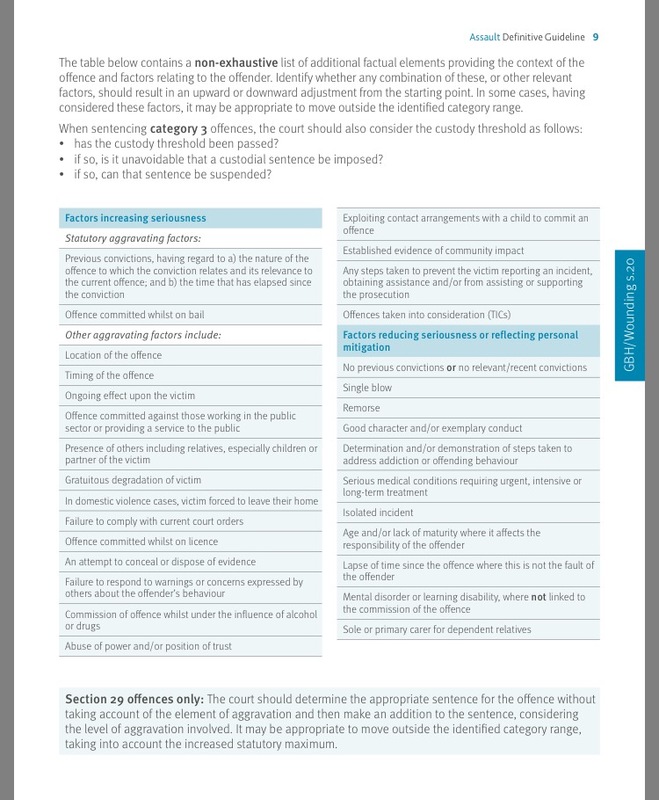 They are mandatory reading for anyone expressing a view about the case, but to assist, let’s look briefly at how the sentencing exercise was carried out. Fortunately, the wounds that your partner received were relatively minor. The two 1 cm cuts to the fingers were treated at the scene with steri-strips and the cut to the leg was closed with three stitches. First, the court works out what Category the case falls into, by looking at what specified features of harm and culpability are present. The judge formed the view that this was a Category 2 offence. There was lower harm due to the relatively minor nature of the injuries in the context of this type of offence – note that no-one is saying that wounds caused by a knife are not serious; but it’s all relative. An offence of unlawful wounding covers a wide range of injuries, from small breaks of the skin right up to life-threatening, body-scarring lacerations. A 3cm cut to the leg, closed by three stitches, and minor cuts to fingers treated with steri-strips, while undoubtedly horrible for the victim, are minor in the context of wounding offences. Looking at culpability, there was higher culpability by virtue of use of a knife. What do we know about the mitigation and aggravation in this case? [T]here is one non-statutory aggravating feature, namely that at the time of the offence you were heavily under the influence of alcohol. Whilst that in part was as a result of a previous and highly damaging relationship, you were old enough and intelligent enough to realise that over-indulgence would severely affect your behaviour. When I turn to look, however, for mitigating features the picture is very different. There are many mitigating features in your case. Principally, at the age of 24 you have no previous convictions of any nature whatsoever. Secondly, I find that you were genuinely remorseful following this event and, indeed, although it was against your bail conditions you contacted your partner to fully confess your guilt and your deep sorrow for what happened. Thirdly, whilst you are clearly a highly intelligent individual, you had an immaturity about you which was not commensurate for someone of your age. Fourthly, as the reports from the experts make clear, you suffer from an emotionally unstable personality disorder, a severe eating disorder and alcohol drug dependence. Finally, and most significantly, you have demonstrated over the last nine months that you are determined to rid yourself of your alcohol/drug addiction and have undergone extensive treatment including counselling to address the many issues that you face. In particular, you have demonstrated to me since I adjourned this matter in May a strong and unwavering determination so to do despite the enormous pressure under which you were put and which has been referred to by your learned counsel. A further matter advanced in mitigation by the defendant’s counsel (as reported by the BBC) was that she had suffered domestic violence in a previous relationship, which contributed to her substance misuse. Taking these strands of mitigation together, it would appear that the judge considered that the starting point should be adjusted downwards from 18 months to 15 months. I say that because it seems that the defendant pleaded guilty at an early stage of proceedings, which would attract “credit” or a discount on her sentence of up to one third. Judges like starting point sentences that are easily divisible by three, so it stands to reason that, although he does not explicitly state as such in the published remarks, he took 15 months and reduced a third to arrive at his final sentence of 10 months’ imprisonment. We do not know enough to say whether any of the left hand column is made out; but it could be argued that at least two of the factors on the right apply. The court must have regard to the statutory five purposes of sentencing – punishment, reduction of crime (including by deterrence), reform and rehabilitation of offenders; protection of the public; and making reparations – and will need to assess the appropriate emphasis in any given case. 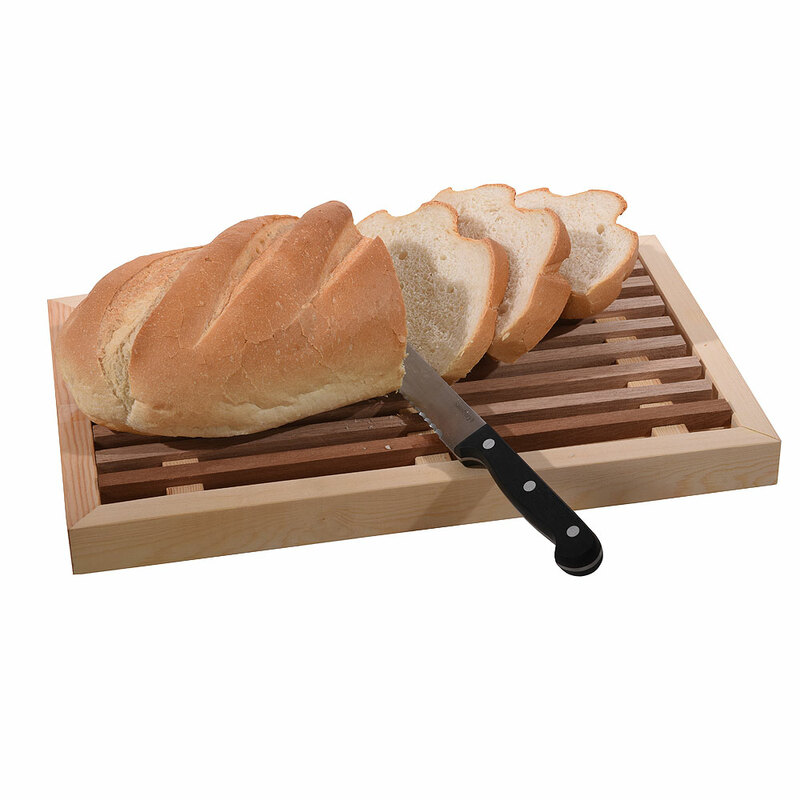 While stabbing with a bread knife is plainly serious, if the injury is not particularly grave, and if the court is of the view that more can constructively be achieved by avoiding sending a promising young defendant to prison and shattering their future life prospects, instead offering in the first instance a sentence focussing on rehabilitation to address deep-rooted problems laying behind the offending, then it is arguably in service of those five principles that a suspended sentence of imprisonment, with punitive and rehabilitative requirements attached, might be imposed. The features of mitigation identified – the mental health difficulties, the efforts to address drug and alcohol abuse, the good character, the genuine remorse – would all further support the decision to afford a defendant a chance on a suspended sentence. Indeed, this further colour, in particular the mental health dimension, shifts the perspective significantly. It’s not just a rich white girl getting a let-off; it’s also a victim of domestic violence with severe mental health and substance misuse problems being given a chance to rebuild her life. You may not care for that latter interpretation, but it’s no less valid than the former preferred by today’s front page “Toff Justice” tabloid headlines, implicitly recycling the nasty myth that money confers mental health immunity. Lest anyone be seduced by the reflexive narrative that such merciful sentences are only afforded to white, middle class defendants, let me assure you: this course (as I said in the Bashir posts) is not unusual. Where a defendant who has never been in trouble is facing a custodial sentence of 2 years or under, and where they have the prospect of employment, education or caring responsibilities, judges will often strive to avoid passing a sentence of immediate imprisonment. That is not to deny that unconscious social or racial bias plays a part in judicial decisions; basic psychology teaches us that it does, to some degree at least. But the suggestion that this exceptional course is only ever reserved for the Prom Queens (or whatever our British equivalent is) is tired and lazy. The reason you don’t hear about the suspended sentences handed down for less photogenic defendants – for the 19 year-old lad starting his apprenticeship, or the 48 year-old mobile hairdresser – is mainly because the media tends not to report on them. As a final observation, the Telegraph reports that Ms Woodward’s QC invited the court to consider imposing a conditional discharge – the lowest form of sanction that a court can impose. The judge refused, clearly of the view that a sentence of imprisonment was required. Had the judge acceded to that invitation, the complaints that the sentence was inexplicably lenient would carry more force. As it is, for the reasons above, there appears nothing unusual, and indeed much humane, about the approach taken in this case. Note: This post has been updated following the publication of HHJ Pringle QC’s sentencing remarks this morning. An Oxford medical student stabbed her boyfriend with a bread knife. So why is she not going to prison? Remember all the fun we had earlier this year with the Cricket Bat Case? You know the one – where the defendant, Mustafa Bashir, assaulted his wife with a cricket bat, forced her to drink bleach and was given a suspended sentence, partially because the judge took account of the defendant having been offered a professional cricketing contract? And everyone got terrifically angry about it, even though they clearly hadn’t taken the time to obtain the facts? And Diane Abbott and Harriet Harman traversed the airwaves and the plains of social media in furrowed unison to whip up the cries for the judge to be “sacked” for what he’d said, even though he hadn’t said it? And, even when, at the “slip rule” hearing where the defendant was sent to prison after it emerged that the cricketing contract was a fiction, the judge took the time to carefully explain his earlier, misreported remarks, no-one listened and wrapped themselves up in a cocoon of impervious self-righteousness? Remember all that? Yeah? What larks. Well luckily for us, we may be about to go through it all again. Because once more, Mercury scoots in with a message of justice gone wrong, in the form of a case of domestic violence where the defendant stabbed the complainant with a bread knife, only to be assured by the judge that, when the time comes for sentence, she will most likely not be going to prison. The reason? Her “extraordinary” medical talent. This post comes dangerously close to breaching one of my cardinal rules, vis not commenting on cases until they are concluded and the full facts (or as close to them as we can get) are known. But given that there has already been a steady buzz of interest in the case online, I thought it worth heading off some of the likely queries at the pass, not least as comparisons with the Bashir case are already circulating. “It seems to me that if this was a one-off, a complete one-off, to prevent this extraordinary able young lady from not following her long-held desire to enter the profession she wishes to would be a sentence which would be too severe,” he said. It is further reported that Ms Woodward has had articles published in medical journals including the Annals of Thoracic Surgery, Hypertension, and The Journal of Physiology. The Telegraph quotes a source as saying that she finished top of her year in her third year pre-clinical tests at Oxford. Finally, we are told are that her barrister informed the court that Ms Woodward had a “very troubled life”, struggled with drug addiction and had been abused by a former partner. Deferring sentence is nowadays an unusual step to take. It is not to be mistaken for adjourning a sentence hearing, which happens all the time for various reasons – to obtain probation or psychological reports, for example. 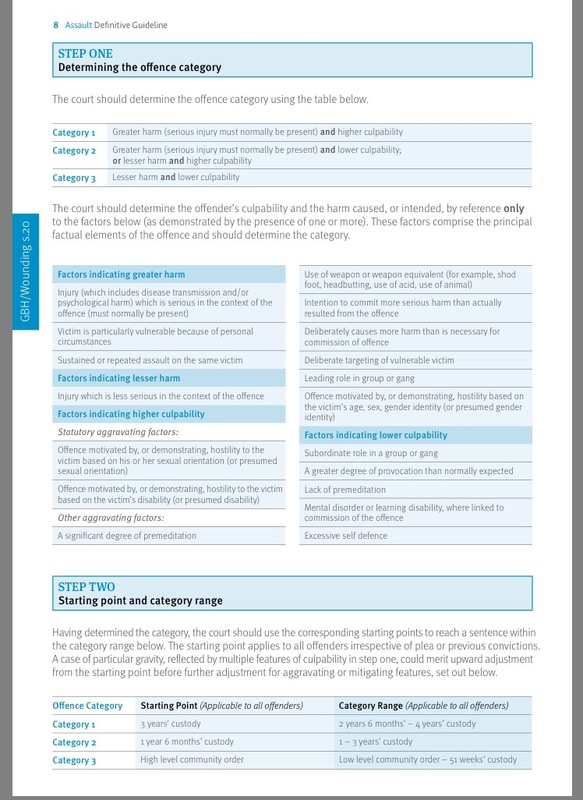 Rather a deferment is a specific statutory power (section 1 of the Powers of Criminal Courts (Sentencing) Act 2000, as you ask) which a court can use where it wants to observe the defendant’s conduct post-conviction before arriving at a final sentence. If a court is satisfied that it would be in the interests of justice, “having regard to the nature of the offence and the character and circumstances of the offender”, sentence will be deferred to a fixed later date. Typically, we tend to see it in cases where a judge wants to see if a defendant can make a sustained effort at rehabilitation – say by holding down a job or undergoing voluntary drug or alcohol treatment. If a defendant agrees to a deferment, the court will impose “requirements” as it considers appropriate – in this case, it has been reported that the judge required that the defendant remain drug free and not re-offend. When she comes back to court on 25 September, the judge will determine whether the defendant has substantially conformed or attempted to conform with the expectations of the court – i.e. by staying clean and keeping out of trouble – and, if she has, she can legitimately expect that she will not go immediately to prison. It appears from reports that the defendant pleaded guilty to unlawful wounding, contrary to section 20 of the Offences Against the Person Act 1861. While a serious offence, it is of note that it in fact carries the same maximum sentence – 5 years’ imprisonment – as assault occasioning actual bodily harm, which was the offence in the Bashir case. It is also of note that section 20 covers two different offences – inflicting grievous bodily harm, and unlawful wounding. It is one of the many (unjustified) quirks of the law that these two offences are treated equally even though the injury caused in a wounding can be relatively minor (it merely requires a break of the skin), whereas GBH by definition entails really serious harm. Here, we know nothing about the level of injury. Now, we have little idea, absent further facts, what category the judge will put this case into. We know nothing about the level of injury, the ongoing effect on the victim, and the circumstances leading up to the assault. But even if the judge were to conclude that the offence was so serious as to fall within the highest category – Category 1 – (which on the given facts I think is unlikely) this would provide a starting point of 3 years, the relevance of which is that once you take off the 1/3 credit that is awarded for a timely guilty plea (assuming that it was), you arrive at something around the 2 year mark. And the relevance of the magic 2 years is that any sentence of 2 years or under can be suspended. This is a long-winded way of saying, simply, that on the Guidelines, the judge will not have to struggle to arrive at a sentence capable of being suspended, if, as I suspect, this is what he envisages proposing at the next hearing. Whether he should suspend it is, of course, another matter. And it is here that we find ourselves back in Bashir territory. The parallels are striking: A defendant with no previous convictions; a serious offence of domestic violence using a weapon; and personal mitigation including a promising career. Ms Woodward’s offence is more serious in the statutory hierarchy of violent offences; however she has what appears to be powerful mitigation relating to her reported issues with substance misuse and history as a victim of domestic violence. And, lest anyone be seduced by the reflexive narrative that such merciful sentences are only afforded to white, middle class defendants, let me assure you: this course (as I said in the Bashir posts) is not unusual. Where a defendant who has never been in trouble is facing a custodial sentence of 2 years or under, and where they have the prospect of employment, education or caring responsibilities, judges will often strive to avoid passing a sentence of immediate imprisonment. That is not to deny that unconscious social or racial bias plays a part in judicial decisions; basic neuroscience teaches us that it does, to some degree at least. But the suggestion that this exceptional course is only ever reserved for the Prom Queens (or whatever our British equivalent is) is tired and lazy. The reason you don’t hear about the suspended sentences handed down for less photogenic defendants – for the 19 year-old lad starting his apprenticeship, or the 48 year-old mobile hairdresser – is mainly because the media tends not to report on them. It is too early to draw any conclusions. That is really the beginning and end of it. But if we must go a little further, I would observe that, although understandably surprising to the non-lawyer, there is nothing on the reported facts of this case to suggest yet that anything is amiss. We will wait and see what September brings (and hope that, given the pre-emptive press rumblings, the judge takes the step of formally publishing his sentencing remarks in full), and reassess then. But it is entirely plausible that this is a sad and difficult case where a talented young woman bearing pains that few of us can imagine acted out in an uncharacteristically raw and violent fashion, in a manner that demands condemnation, but the punishment for which the court will temper with mercy, avoiding the compounded tragedy of extinguishing a bright life in the squalid pits of our rotting prisons. POSTSCRIPT: In the event that the judge imposes a suspended sentence on 25 September, there will be calls, as with the Bashir case, for the Attorney General to apply to refer the sentence to the Court of Appeal as unduly lenient, in the hope that the Court of Appeal will increase the sentence. Offences of unlawful wounding contrary to section 20 of the Offences Against the Person Act 1861 are not included in the lists of offences that can be the subject of such an application. So if you know of, or are, a politician champing at the bit to call for the sentence to be increased, screenshot this paragraph and have it in your back pocket for September: It can’t be done.